Remember the good old days of ”Braaivleis, rugby, sunny skies and....”? 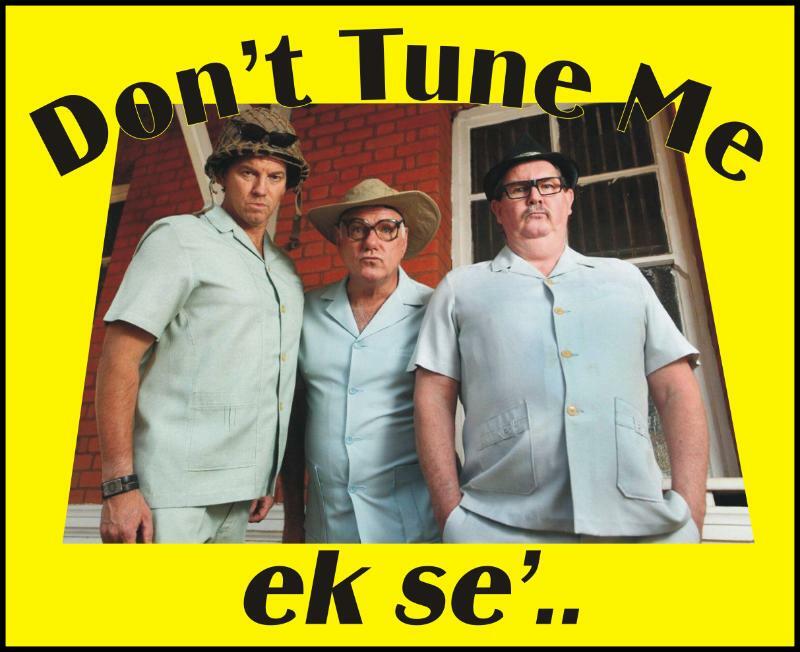 Well, The Gee Jays (Gary McKenzie, John Didlick and Grant Bell) are back, by popular demand, with their smash hit show, Don’t Tune Me – Ek Se. This time they will perform at Rhumbelow Tina’s at Tina’s Hotel in Kloof. The line-up, together with the usual madcap antics of The Gee Jays will have audiences rolling in the aisles as well as remembering what they were doing when these discs were being spun, back in the day. If these songs – all of them hits on Springbok Radio take you back: Pretty Belinda, Yellow River, Tie a Yellow Ribbon and Rhinestone Cowboy, Let Your Love Flow and Have You Ever Seen the Rain jog a fond memory for you (or your children), then this show is for you. They are all the tunes we have a soft spot for – even if we never admit it. Great 70s artists like Paul McCartney and Wings and, of course, The Village People, The Beatles, The Bee Gees, The Bellamy Brothers and Jim Croche, and the great Neil Diamond. Not to mention some of the many great South African bands who made it big in the 7o’s, like Alan Garity, Charisma and even Jeremy Taylor.